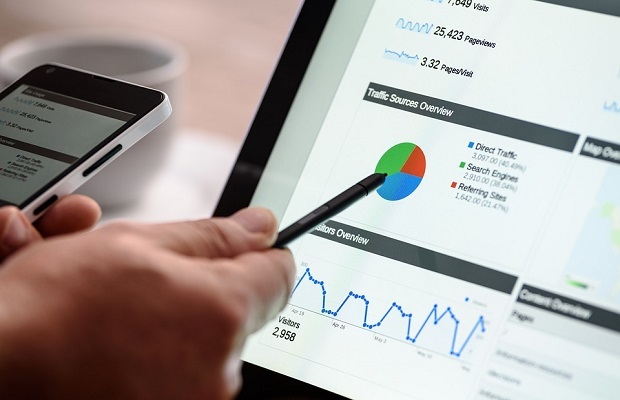 In today’s multiplatform world, it can be difficult to get a single view of a user, whether they are looking at the same site on a mobile, PC, tablet or another connected device. A new report from Bench and Pitney Bowes offers a practical approach to harnessing data for increased personalisation and optimal CX. Entitled ‘The power of a single customer view: a practical approach to harnessing data for increased personalisation and optimal CX’, the report acts as a guide for organisations looking to drive value through exceptional customer experience. The report explores the need for organisations to be able to compete on customer experience and highlights the importance of a Single Customer View (SCV) in doing so. In addition, the report outlines the key challenges to creating a comprehensive SCV. These include the vast amounts of data to contend with, how this data is stored and accessed and the rapidly evolving and fluid nature of customer data. It also highlights key misconceptions about what really constitutes both personalisation and a SCV. Data quality is the absolute foundation for any SCV. No attempt at personalisation, no matter how innovative the technology involved – whether that is a new CRM system, AI or chatbots – will be effective if it is not fed with accurate, up to date data. Creating a SCV can seem daunting, but businesses should not make the mistake of trying to create a ‘perfect world’ where all systems are ready, all data is modeled, all key stakeholders are completely onboard and every eventuality is considered before starting. Instead, focus on finding the right technology. There are a wide variety of technology options available when it comes to creating a SCV. Selecting technology is not an easy process and with so many voices and so many features to choose from, organisations need to get it right to avoid costly mistakes. The right technology isn’t about just selecting the best scoring technology in the quadrant or wave but what fits your organisation and keeps the costs and change reasonable and within the realms of your ability and organisation’s maturity. Those organisations who simply treat having a SCV as a tick box exercise will not benefit from the value it can bring. A SCV is an enabler, and businesses need to have a clear plan around what it will enable them to do and then ensure they act on this plan to develop and deliver new propositions, products and services. The report also includes examples of organisations including ETEL and Nationwide, harnessing SCVs to add value to their businesses. Commenting on the report, Dan Telling, managing director at Bench, says: “ Arguably the best way to deliver outstanding CX is to personalise and tailor services and products. It is not easy, but those organisations that make the commitment to effectively harness data to create a SCV, which in turn enables better customer relationships and improved decision making, will ultimately enjoy the benefits with happier, more engaged customers and a healthier bottom line.